Want to show mom you really care? Forget about jewelry and flowers. How about letting her listen to the music SHE likes in the car for a change? (We know all about those times she listened to Eminem and AC/DC for you!) Now, you can just make a Mother’s Day playlist of her favorite songs (and you don’t even have to leave the house). It’s so easy with our free store-and-play music apps. Once your music library is uploaded to our MyMusicCloud portal, you can pick and choose her favorite ballads, country music songs or musical showtunes from your collection, or browse our online music store for songs she’ll adore. In no time, you have a custom-mixed Mother’s Day soundtrack you can play on any laptop, smartphone, tablet, or even Smart TV. Play it when she wakes up Sunday morning, or on your way to brunch. What a cool and thoughtful surprise! Wishing you and the moms in your life a very Happy Mother’s Day. Remember when Mom ooohed and aahed over the macaroni necklace you made her in kindergarten? It was no Picasso, but she loved it because it was simple and heartfelt. This Mother’s Day, don’t spin your wheels needlessly trying to find the perfect Mother’s Day gifts for the moms in your life. Just make a Mother’s Day playlist of her favorite (or even your top 10!) songs. It’s so easy with our cloud-based music delivery service. Once your music library is uploaded to our MyMusicCloud portal, you can pick and choose her favorite ballads, country music songs or musical showtunes from your collection, or browse our online music store for songs she’ll adore. Is your mom wild about Mariah Carey? Can’t resist country crooner Martina McBride? Or maybe she loves the soundtrack from the musical “Dreamgirls”? They’re all in our store ready to download. Then simply create a playlist, select the song you want to add and click the “+” symbol to attach it. In no time, you have a custom-mixed Mother’s Day soundtrack for your special lady. Play it when she wakes up Sunday morning, or on your way to brunch. What a cool and thoughtful surprise. Kind of like musical macaroni. Want to spark some party chatter or get a rousing Facebook debate going? Ask your friends to recommend their favorite movie soundtracks. Faster than you can say “Twilight,” you’ll have more movie titles than you can shake a clove of garlic at. From the rich, violet funk of Prince’s “Purple Rain” to the giddy ‘60s love songs from “Dirty Dancing,” people can’t help raving about their cinema darlings. 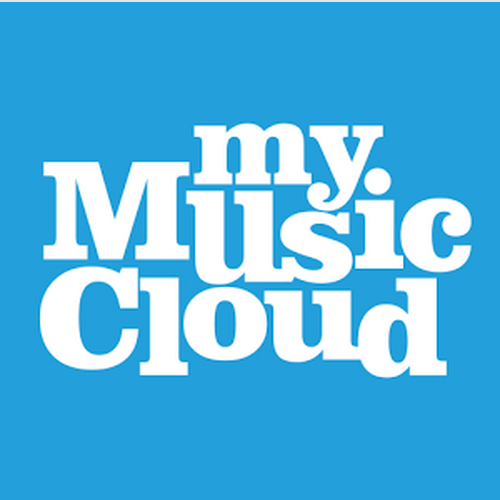 With MyMusicCloud, you can even hear your new finds before you exit the movie theater. Our cloud-based music delivery system has an online music store where you can search, find and download new soundtracks straight to almost any portable device. Or throw a themed DVD-watching party at home and pre-mix a playlist with MyMusicCloud showcasing all your favorite romantic comedy, ‘70s disco or even horror movie music. Your friends will be amazed! 1. Pulp Fiction: Shimmy like John & Uma to this eclectic rock mix. 2. Grease: Bubbly high-school pop from the T-Birds and the Pink Ladies. 3. Trainspotting: Mesmerizing alt rock from Iggy Pop, Blur, and Underworld. 4. A Hard Day’s Night: Romp along with Beatles classics. 5. Purple Rain: Dance-happy ‘80s hits from his Royal Purpleness. 6. Dirty Dancing: Have the time of your life with this ode to ‘60s pop. 7. Once: Acoustic harmonies for romantics. 8. Singles: The best of ‘90s grunge. 9. The Graduate: Haunting folk from Simon & Garfunkel. 10. Saturday Night Fever: Hip-shaking fun with the Bee Gees. For music fans, singers and producers, the hottest place to be each March is the South by Southwest music festival happening now in Austin, Texas. SXSW (or #SXSW on Twitter) is where artists like John Mayer and James Blunt got discovered, and it’s the spot music enthusiasts from all walks turn to hear the freshest sounds. But you don’t have to hop a 757 to hear Jay-Z or any of SXSW’s cutting-edge new bands. Our MyMusicCloud store has 11 million tracks from rappers like Jay-Z along with more irresistible, chart-climbing albums in our New Releases section. You can even delve deeper into your favorite Genre categories like Drum N Bass, Metal, World Music or Country. Our cloud-based music delivery service helps you discover more of what you like – whether it’s the classic rock sound of The Sheepdogs or the lilting vocals of Florence and the Machine. Found something you adore? Through your MyMusicCloud account, you can tell your Facebook friends what you’re listening to with our easy “Share” button. Ping them with your new discoveries and have a blast discussing your opinions. We’re so committed to growing our cloud-based music delivery service to bring you the newest music that we’re working on a more enhanced discovery mechanism to be released in the next few months. Blondfire: Brother-sister duo with a “Foster the People”-like sound. Jillian Edwards: Sweet-voiced folk singer. Ruthie Foster: Soulful blues crooner and 2010 Grammy nominee. Kendrick Lamar: Inventive Cali rapper with an arty bent. Night Beat: Experimental rock with a ’60s flavor. Nikki Lane: Rockabilly country with a nod to Loretta Lynn. Peanut Butter Wolf: Stones Throw hip-hop label founder and DJ. Radaid: Spanish world folk blended with electronica. Wild Child: Dreamy pop-folk band with a ukulele. Yellow Ostrich: Earnest NYC indie rockers. Tell us about your favorite new bands!